First of all thanks for all the help on previous threads on this topic (and older threads that talk about it). 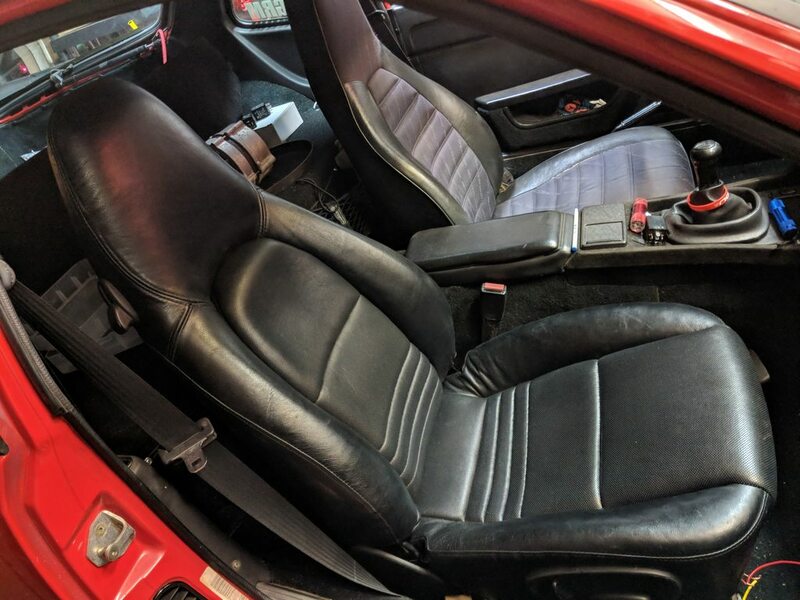 I initially wanted to put 987 Boxster seats into the car, but looked like there were a few reasons that it would be a very difficult fit, both in terms of physical fit and electrical hookup. 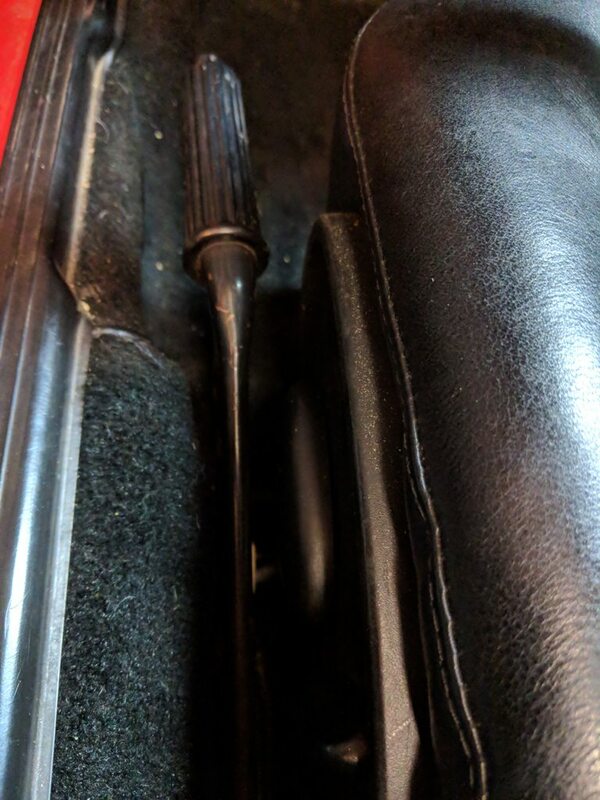 So I settled and got some really nice 986 seats on ebay (for cheap) - recently recovered with very nice, soft leather (the leather is soft, the seats are VERY firm actually). They came almost totally disassembled so it took me a couple hours to figure out how to put them back together (not as simple as a pivot bolt, haha). Anyhow, following the previous how-to's on this I ground down the "nub" on the rail and flattened the front "feet." 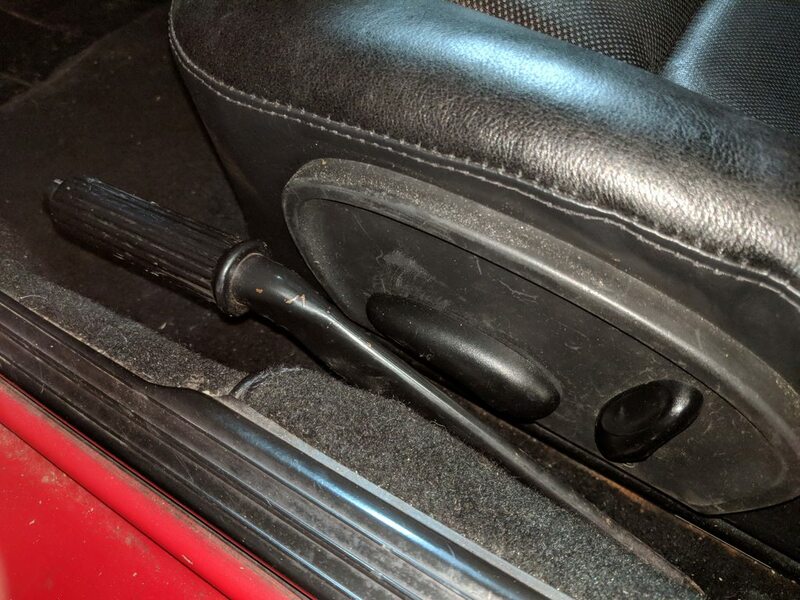 After testing I found that the center bar (to adjust height) actually has enough clearance for the seat to slide just fine, so I didn't take it off like some people do. Wow, looks nice. I may want to try that too! They look much more supportive than my stock 944 seats. Looks great! Now I'm jealous. How much for the seats$$$?? 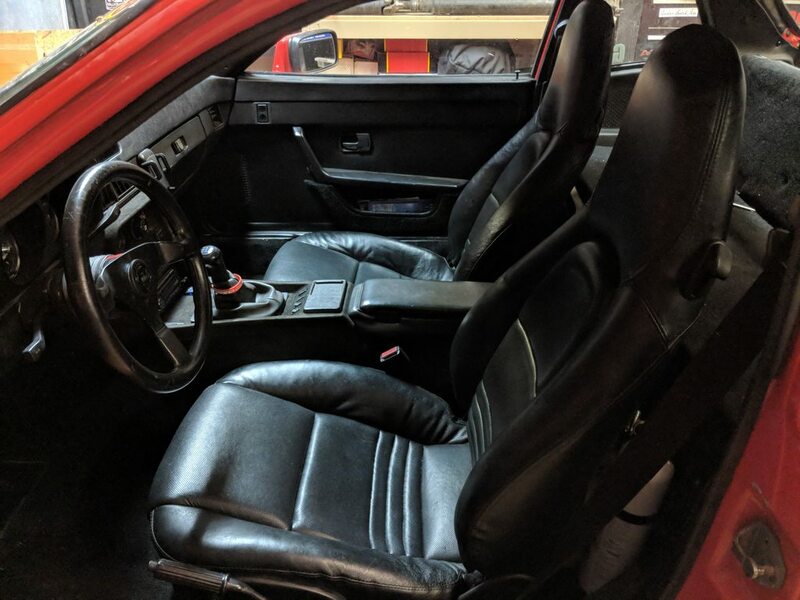 928 S4 seats in my 924S very comfortable. 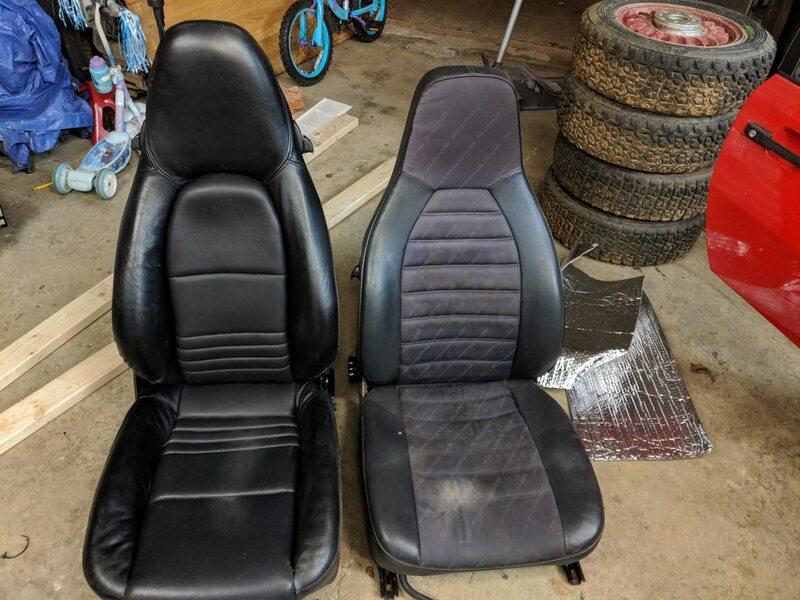 The Boxster seats I got off ebay for about $500 shipped - the reupholstering is almost brand-new and very nice. They still smell like new leather It was a nice find, for sure. there are a lot of 986 Boxster seats on ebay for pretty low prices, really. You don't really need a donor chair - echairparts dot com has good selection, prices, and free shipping. T3001 is the mechanism I used because it has seat angle control. 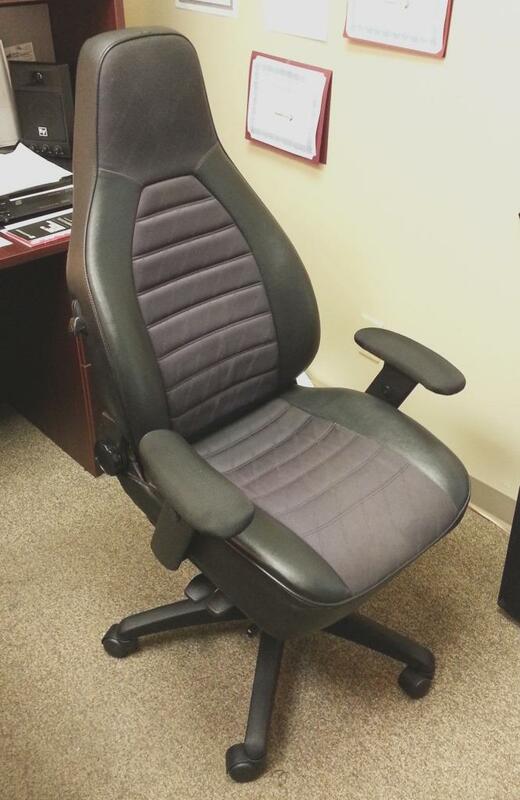 Most office chairs have a relatively flat seat, whereas most car seats are angled and much thicker at the front. GC-ee35 is the lift cylinder I used because it is short. 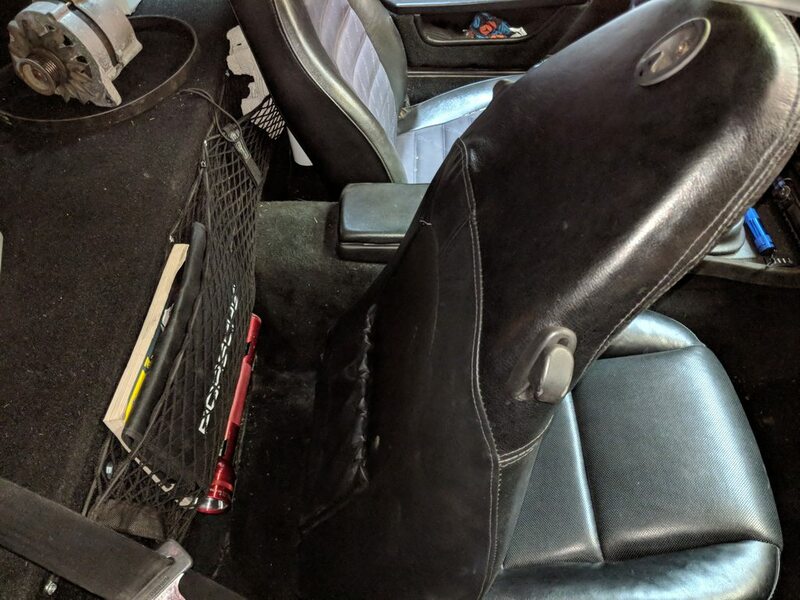 Most office chairs have a thin seat, whereas a car seat is much thicker so a standard 5" cylinder sets the seat too high - even when fully compressed. I scrounged the arms and base with casters from an old office chair, although you can purchase those as well. As far as the platform between the actual seat and mechanism, I used a piece of high quality 3/4" plywood and bolted it all together using bolts and t-nuts. Last edited by onZedge; 12-06-2018 at 05:06 PM..